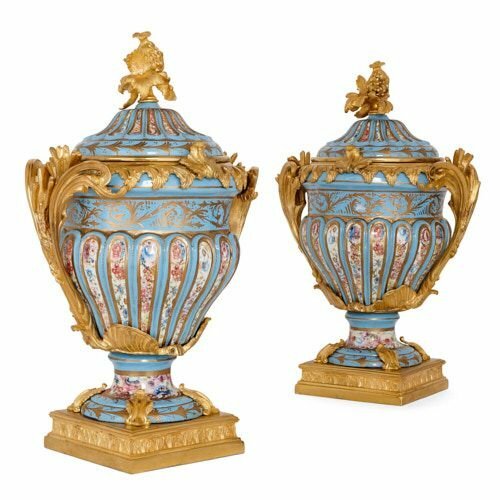 These Sevres style turquoise porcelain vases feature exquisite, hand-painted flowers, gilded foliate motifs, and elaborate scrolling ormolu mounts. 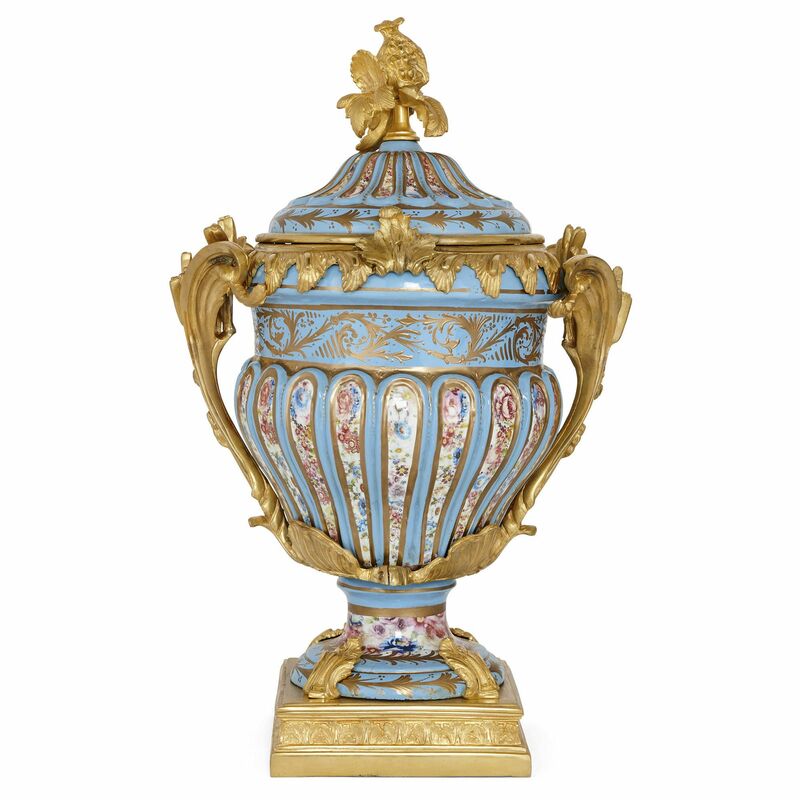 Created in France at the beginning of the 20th Century, the vases are formed with parcel gilt turquoise porcelain bodies and lids, mounted with ormolu plinths, handles, and finials. The vases take the form of classical kraters, with broad upper bodies, mouths and scrolling foliate handles, where there would typically be volutes. 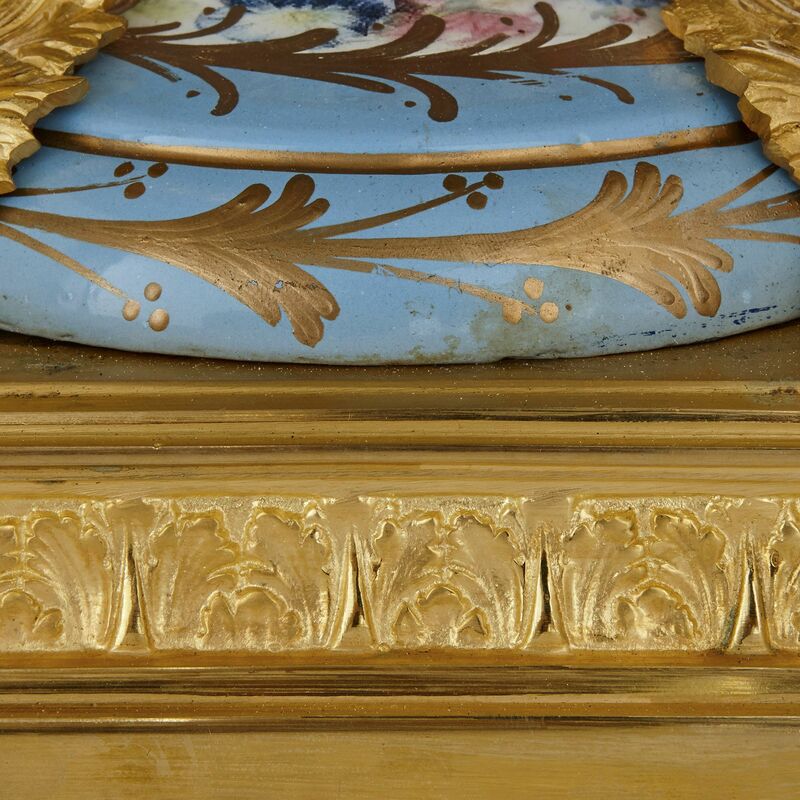 The vases are set on square ormolu bases, decorated to the centre with acanthus leaves, with large ormolu acanthus leaf mounts used to secure the vases onto the bases. 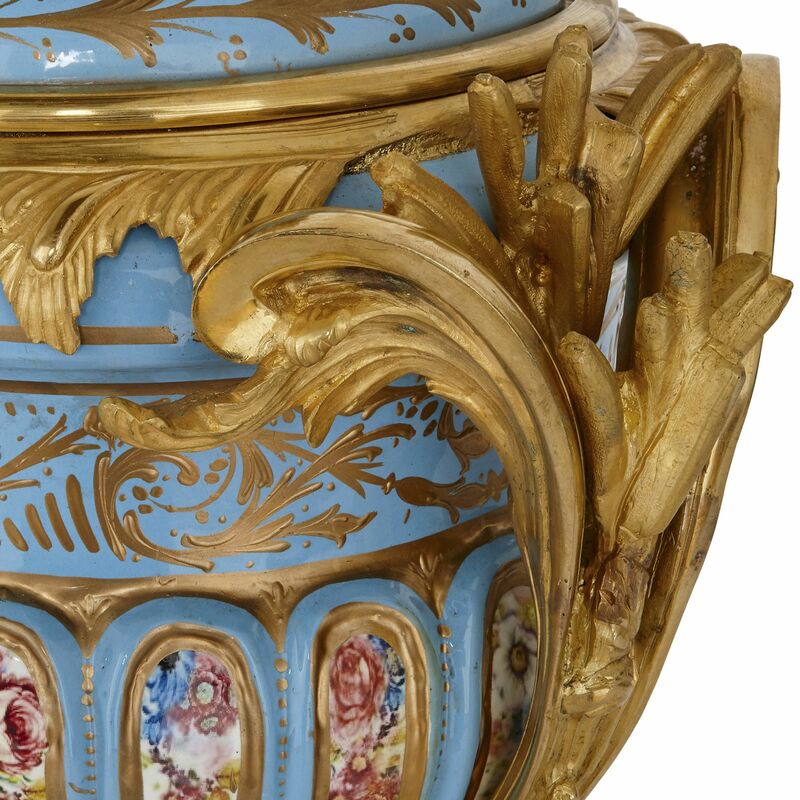 The vase feet feature gilded foliate motifs on a turquoise ground, with the fillet of each vase being painted with a band of colourful flowers. Above, a belt of ormolu leaves wrap around the lower body of each piece. These mounts extend upwards, curling round to form the handles, before continuing along the lips of the vases. The turquoise bodies are fluted and the scalloped panels filled with colourful depictions of flowers, enclosed within gilt outlines. Above, the necks are gilded with scrolling foliate patterns. 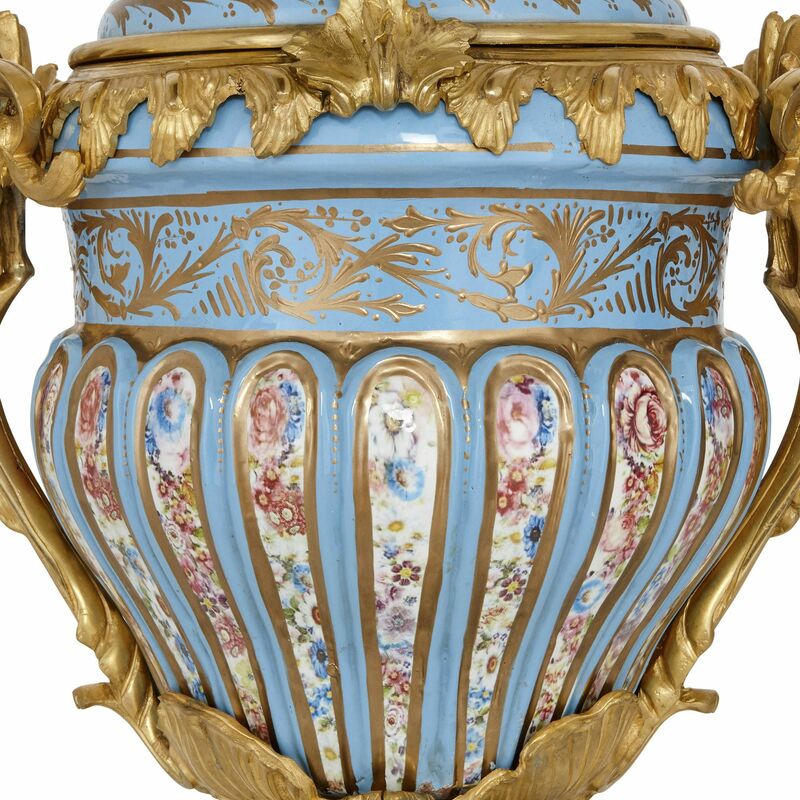 Each piece is surmounted by a turquoise lid, which is decorated with gilt floral motifs and fluting, similar to that found on the vase body. 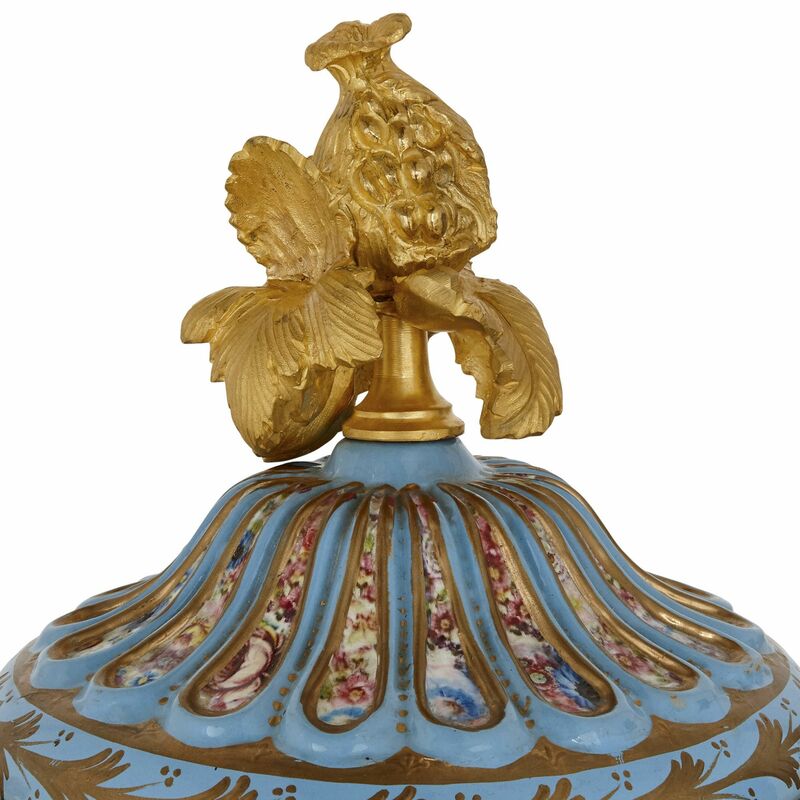 The lid of each piece is topped by an elaborate ormolu pomegranate finial.